Linear format is ideal for planning same-day-each-week projects. Large writing blocks on monthly format. 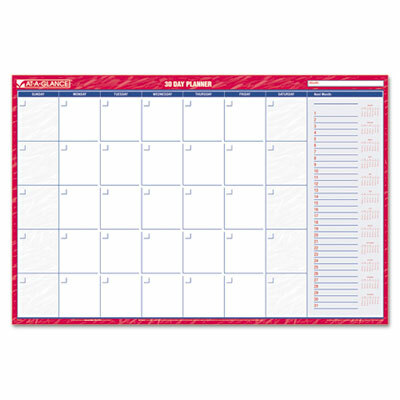 Full-year calendar reference on monthly format helps with writing in dates for planning each month. Shaded weekends and highlighted holidays on yearly calendar. Linear format is ideal for planning same-day-each-week projects. Large writing blocks on monthly format. Full-year calendar reference on monthly format helps with writing in dates for planning each month. Shaded weekends and highlighted holidays on yearly calendar. Write-on, wipe-off surface erases easily with a damp cloth.